We are big fans of the Jamis Bicycle brand, and we think a lot more folks would be too, if they knew what we know. So, this page will highlight Jamis product videos, teasers, and reviews on select Jamis models from respected publications. The purpose here is to give you some additional input on the Jamis brand bicycle, so you can make a more informed decision. These videos from Jamis are not only informative, but are also a lot fun to watch. 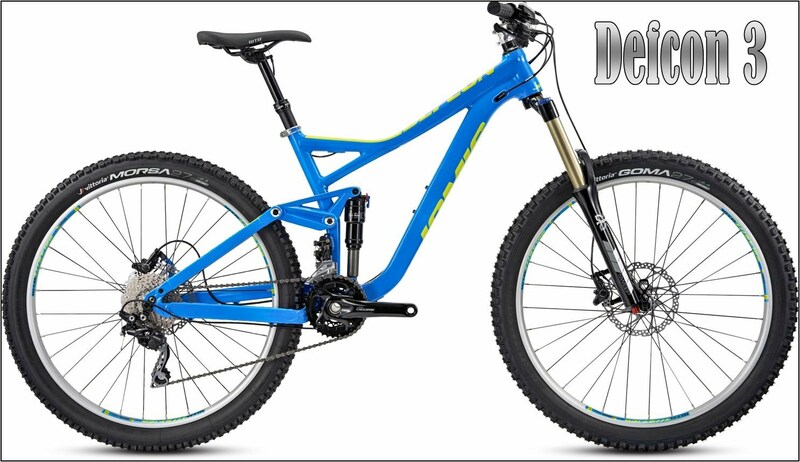 There are videos here for both road bikes and mountain bikes alike, with a focus on whatever is new and exciting. So, feel free to scroll down and enjoy some footage of Jamis Bikes in action. We strongly encourage you to come down and test ride a Jamis Bike! Dragonslayer Promo from Jamis Bikes - the Bike to be Looking at in 2016! Check out this cool video. The Jamis Dragonslayer is the next big thing in mountain biking! The adventure riding category is appealing to so many riders nowadays. There's something so alluring about the ability to go anywhere on your bike, truly. Bikepacking is becoming more and more popular everyday. Bikepacking is basically combining cycling with camping. Obviously, having the right bike can make that experience that much more enjoyable. Why choose a Dragonslayer? Well, the primary reason is this burgeoning new plus wheel size on a 45mm wide 650B rim. The 650 plus wheel has an outside diameter equal to a 29er, but it has a 3" wide tire, with less air pressure, way more float, just as much rollover, a much smoother ride, and greatly improved traction. The perfect bike for getting out into the wilderness and truly going anywhere. You certainly don't need roads, you don't even really need trails... just get on it and make your own adventure. Then, there's the steel frame. Jamis knows how to make a great steel frame. They've been doing it right for a long damn time. Their Dragons have been revered by steel frame enthusiasts for many years. Jamis was one of the very first USA bicycle companies to offer a production line mountain bike with Reynolds 853 double-butted, air-hardened, heat-treated tubing. So Jamis appreciates steel, and they know how to work with it. How to make it stiff where they want it, and how to make it flex where you need it, too. Sal Crochiola, Jamis's stellar mountain bike designer, used a proprietary blend, super light, triple-butted 4130 steel to construct the steel frame of the Dragonslayer. He was more than pleased with the way the bike rides, boasting that he was crushing all his old Strava times with the plus sized 650 wheel. In addition, the Dragonslayer has all the new bells and whistles as far as axle standards go. The rear hub is Boost 148, which means the flanges of the hub are spaced wider apart. This wider flange spacing improves the bracing angle on the spokes creating a more laterally stiff wheel. The Boost hub also provided the clearance needed to make the 2x10 drivetrain work more efficiently. The front hub is 110mm spacing, also for an improved bracing angle on the spokes. So the 'Slayer will be running new, current axle standards on both wheels, which is nice. There's adjustable sliding rear dropouts, so if you wanna set this bike up as a single speed, that's very easy to do. to use and can be activated while riding. Team Jamis – Hagens Berman p/b Sutter Home will make their UCI World Championship debut on Sunday as the team rolls down the starting ramp in Richmond, Virginia, at the 2015 UCI Road World Championships Team Time Trial. The road to Richmond was a long one, starting all the way back in January at the Tour de San Luis, where Team Jamis – Hagens Berman p/b Sutter Home kicked off their season. Since racing in San Luis, Team Jamis – Hagens Berman p/b Sutter Home has contested more than 100 days of racing across the United States. As one of the premier teams based in the United States, Team Jamis – Hagens Berman p/b Sutter Home earned a birth to the 2015 UCI Road World Championships through a season of strong performances. While 2015 is not the first year that Jamis – Hagens Berman p/b Sutter Home has secured an invitation to the UCI World Championships, it is the first year where bringing a strong team to the event has been possible. Following the USA Pro Cycling Challenge, where Team Jamis – Hagens Berman p/b Sutter Home concluded the week with a podium performance, as Sebastian Haedo sprinted to third on the final stage, the riders took a short break to recover from the month of high altitude racing. Over the past week, Team Jamis – Hagens Berman has been based on the East Coast, holding a pre-race training camp in preparation for the Team Time Trial World Championships. Haedo will look to use his experience gained racing in the World Tour, to help guide Team Jamis – Hagens Berman p/b Sutter Home to a strong ride on Sunday in Richmond. Joining Haedo, will be time trial specialists David Williams and Luis Amaran. Williams earned a bronze medal at the 2014 and 2015 USA Time Trial Championships, and will be a key member of the team in Richmond. Carson Miller and Stephen Leece are proven all around riders, who have been instrumental in the team’s success over the last two seasons. Daniel Jaramillo rounds out the six man roster. The Colombian climbing specialist will be a key component to the team, as they look to keep the speed high over the courses many rollers and on the final climb to the finishing line in downtown Richmond. Following the Team Time Trial World Championships on Sunday, Team Jamis – Hagens Berman p/b Sutter Home will travel home for the winter, while Daniel Jaramillo will remain in Richmond with the Colombian National Team as they prepare for the World Championship Road Race held the week after the Team Time Trial. The winter months will be a busy period for the Team Jamis – Hagens Berman p/b Sutter Home management team, as they look to start preparing for another upcoming season of success in 2016. Jamis Bicycles rolled out its first bicycle in 1979 and has since built a reputation as a brand unmatched in performance, value, and style. Jamis Bicycles are sold in the US from coast to coast and in over 50 countries worldwide. G. Joannou Cycle, parent company of Jamis Bicycles, was established in 1937 and remains the largest bicycle business in the US under original family ownership. Jamis bikes are the choice of athletes in virtually all disciplines of cycling competition including professional road racing, triathlon, cyclocross and mountain biking. The company also supports elite and "up-and-coming" athletes across the globe and close to home through it's Backyard Racing Program. More information about the company is available at www.jamisbikes.com. Since its establishment in 1948, Sutter Home has produced premier red, white and blush wines at affordable prices. Today Sutter Home is America's #1 premium wine brand and offers consumers a variety of wines for everyday enjoyment. With its creation of White Zinfandel in the early 1970s and the introduction of top-notch varietal wines during the 1980s and '90s, Sutter Home became a household name and the second largest, independent family-run winery in the United States. Sutter Home makes 13 varietals including the original White Zinfandel, Cabernet Sauvignon, Chardonnay, Moscato and Riesling. Sutter Home is wholly owned and operated by the Trinchero family, Napa Valley vintners since 1948. For the 2014 season, the Jamis / Hagens Berman presented by Sutter Home Professional Cycling Team will be riding Xenith SL road and Xenith T2 time trial frames from title sponsor Jamis Bicycles, equipped with Shimano components, wheels, and shoes and Ritchey Logic handlebars, stems, and seatposts. Tires and tubulars are supplied by Vittoria and saddles and handlebar tape are furnished by Fi'zi:k. The Xenith T2 Time trial bikes are outfitted with aerobars and other parts from Profile Design. New 2016 Jamis Bikes are Up on Jamis's All New Website! Keep on scrolling down to learn more about the hot new adventure bikes available. One of the new models is something like an adventure mountain bike, perfect for both trail riding and bike packing, named the Dragonslayer. The Dragonslayer has 650 Plus wheels. So, simply put, it's a 650B wheel with a 3" wide tire on a 45mm wide rim. The 650 Plus wheel measures out to be nearly the same outside diameter as a 29er wheel. But, there's a lot more volume in the 650 plus tire. So, this means you'll get the roll-over characteristics of the big 29er wheel, but you'll have way more volume in the tire for better traction and improved float over rough terrain. The end result is a mountain bike that basically rolls smoothly over every type of terrain. Adventure riders, bike packers and mountain bikers will ALL love this bike! Adventure Road Bikes are here! The adventure road bikes are going to be the most popular modern road bike in the near future. More people are looking for a road bike that can go just about anywhere. 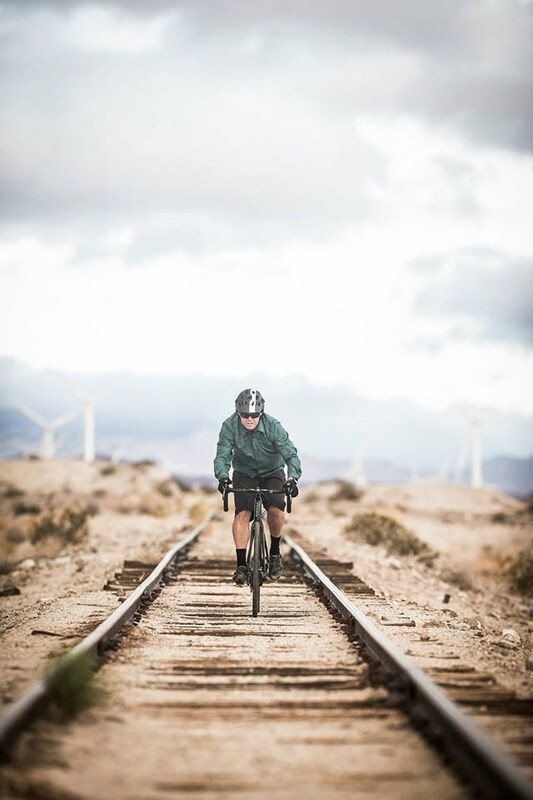 Pavement, gravel, rails-to-trails, and dirt roads. That's where the adventure road bikes go. No one wants to be riding on the shoulder of a paved road while motorists go screaming by while looking at their cell phones. We want to be out in nature. Safe. We want to ride through state parks and along streams and rivers. Peaceful. We want to be intoxicated by the landscape and forget about day to day troubles. Freedom. That is what adventure road bikes let us do. That is what adventure riding is all about. 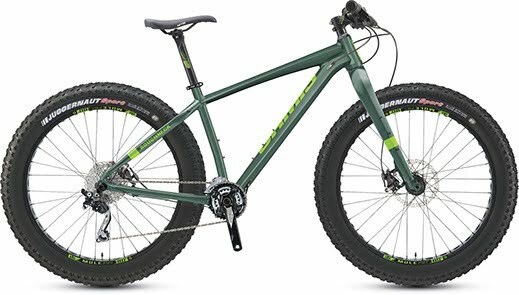 These new adventure road bikes have the capability of running large volume tires, with or without fenders, with or without rear racks. Adventure bikes have disc brakes for dependable all weather braking performance and improved stopping power and control. Race it, tour on it, gravel grind, or cyclocross with it. Do whatever you want. 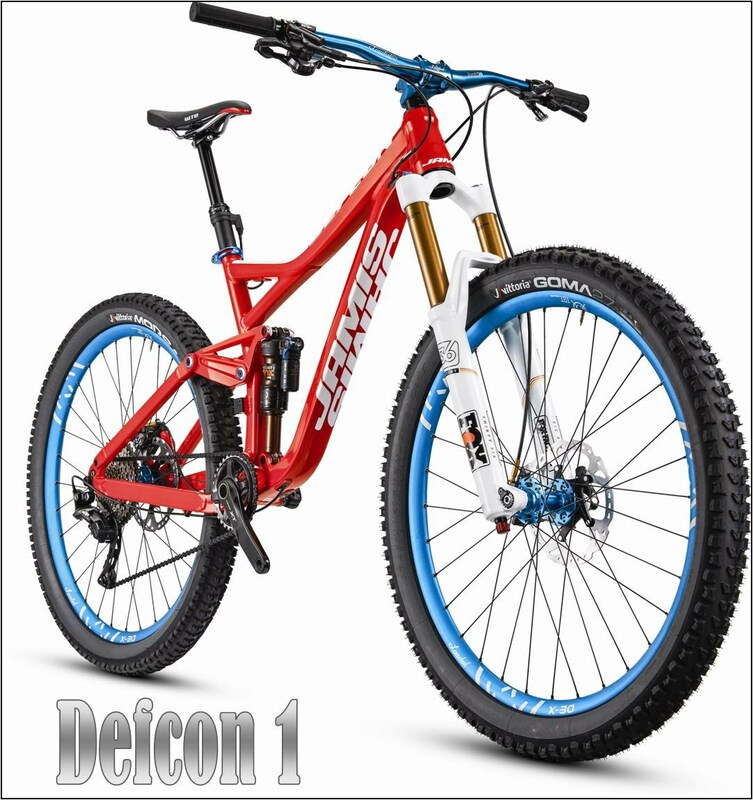 Visit defconbikes.com for more information on the new lineup. After returning to action at the Cascade Cycling Classic, Team Jamis – Hagens Berman p/b Sutter Home will travel to Ogden, Utah, where they will host a final training camp as the riders fine-tune their form before the 2015 Tour of Utah gets underway on Monday, August 3rd. 2014 brought mixed fortunes for Team Jamis – Hagens Berman p/b Sutter Home, where they lost Gregory Brenes early on, as a result of a crash that occurred in the cross-winds of the opening stages. The loss of Brenes was offset as Tyler Wren, won the Fan Favorite Jersey in one of his final days of racing before his retirement from professional cycling. For 2015, Team Jamis – Hagens Berman p/b Sutter Home will bring a strong team, not only focused on challenging for the Overall General Classification, but also capable of challenging for stage wins and jerseys. Brenes will be looking for redemption after his early exit from the race a year ago and will lead the team’s General Classification ambitions. When the road turns up, Brenes will look to Ben Jacques-Maynes, winner of the KOM Jersey in the 2014 US Pro Cycling Challenge, as well as Carson Miller who has shown his ability to control the pace of the peloton on the long climbs that punctuate the Tour of Utah route. In between the climbs, Stephen Leece will be one of the aggressors and comes into the race buoyed by his recent second place finish on Stage 3 of the Cascade Cycling Classic. David Williams is another rider that will be looking to get up the road early in the race. After winning the bronze medal for the last two years at the US Pro Time Trial Championships, Williams will hope to use his power to hold off any late chasers. Gaston Trillini is another rider to watch as he makes his Tour of Utah debut. Hailing from Argentina, Trillini is more than capable of holding his own in the cross winds that sweep across the Utah wilderness, and will be eager to make his mark on the race. Luis Amaran and Sebastian Haedo will round out the Team Jamis – Hagens Berman p/b Sutter Home Tour of Utah roster. Similar to Leece, Haedo comes to Utah fresh off two podium finishes at the Cascade Cycling Classic, and will give Team Jamis – Hagens Berman p/b Sutter Home a strong card to play in the field sprints. Amaran has been a key lieutenant to the Jamis – Hagens Berman p/b Sutter Home Team over the past several seasons. Beyond his finishing speed, Haedo brings World Tour experience to the roads of Utah, and his experience will prove crucial as he leads his Team Jamis – Hagens Berman p/b Sutter Home teammates in their effort to make a mark on this year’s Tour of Utah. The Jamis Hudson series is one of our favorite bicycles in the entire Jamis collection. The Hudson is all about riding comfortably in a relaxed riding position. The Hudson is considered a Sport Comfort bicycle. Sporty, but comfortable. Some comfort cruiser bikes are long, hard to turn, heavy and cumbersome. The Hudson is not like that at all. 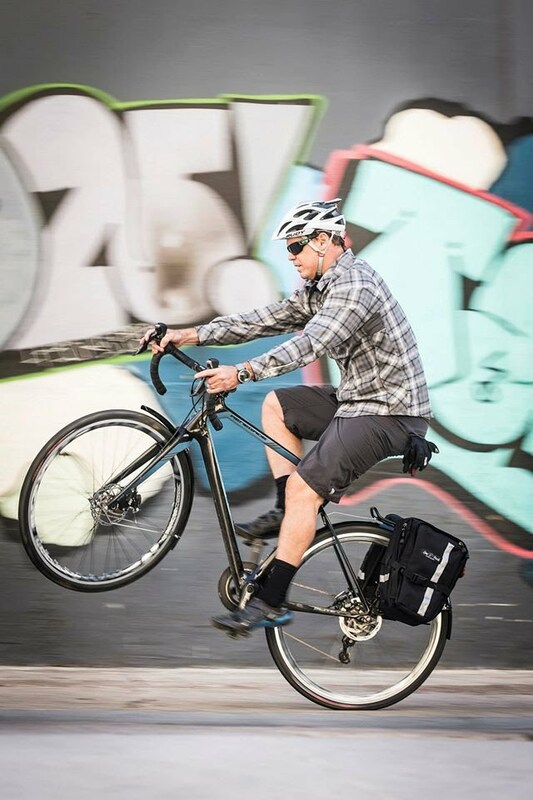 The Hudson is easy to pedal, easy to handle, it is not heavy and it even climbs reasonably well for a comfort bike. It would be an excellent choice for rail trail rides, or riding down the boardwalk at the beech, or leisurely rides around the neighborhood. The best thing about the Hudson is the pedal-forward design. The pedal forward design positions the bottom bracket further ahead of the rider. This allows the seat to be low enough to the ground so the rider can touch their feet to the ground while remaining seated, yet still achieve full leg extension while pedaling. This is such a popular feature of the Jamis Hudson. Most people interested in a Sport Comfort bicycle want to be able to touch their feet to the ground when they come to a stop. Unfortunately, on most bikes, that's just not possible; but with the Hudson, it is possible! The Hudson is available in a few varieties. It comes as a single-speed with a coaster brake, or as a 3-speed with a coaster brake, or as a multi-speed with a derailleur, or as a 7-speed with an internally geared hub, which is our favorite configuration. The internally geared hub is the easy to operate, has less maintenance, and provides ample range for most every rider. The Hudson Sport Deluxe, with the 7-speed internally geared hub, has been our second best selling model for three years here at Eddie's Bicycles and Hockey Equipment. Watch this short video from Jamis Bicycles on the Hudson Sport Comfort bicycle! The Hudson Sport Deluxe is also one of Our Top Picks. if you would like to learn more about the Jamis Hudson series. 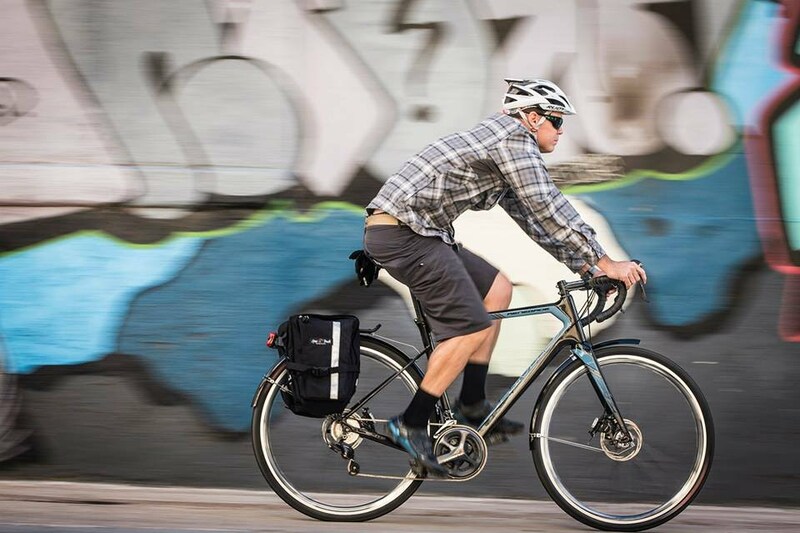 The Jamis Renegade was recently reviewed by Bike Rumor, and its looking very, very good! The Renegade seems to be delivering on all the promises its designers at Jamis Bikes are making. But don't just take our word for it, read the review from this independent source at Bike Rumor. 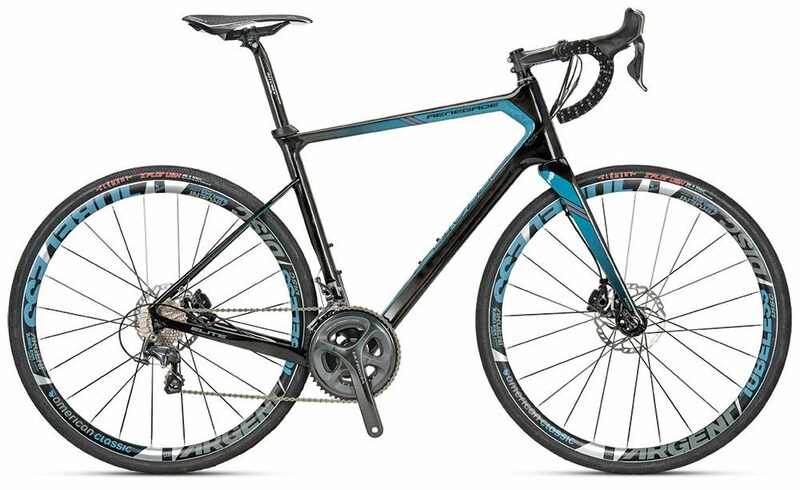 In case you haven't heard of the new Jamis Renegade, its an all new model in Jamis's road cycling line-up, and it represents the Adventure Road bike category. If this is the first time you are hearing about the Renegade, check out the Jamis Bikes Renegade YouTube video in our previous post in Jamis News. We cannot wait for the Renegade to grace our sales floor. We are already placing orders for this bike. If you're really interested, call and place an order immediately. If you're looking for one bike to rule them all, then this is the bike you've been waiting for all your life. 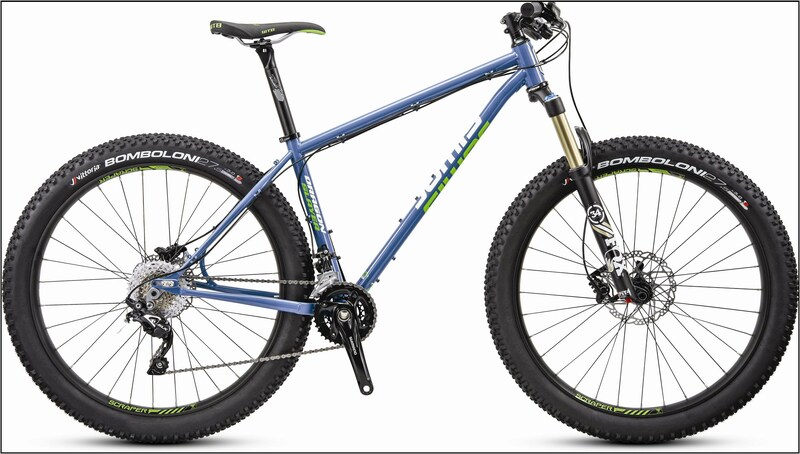 Click the link below to go to Bike Rumor and read their review of the Jamis Renegade. 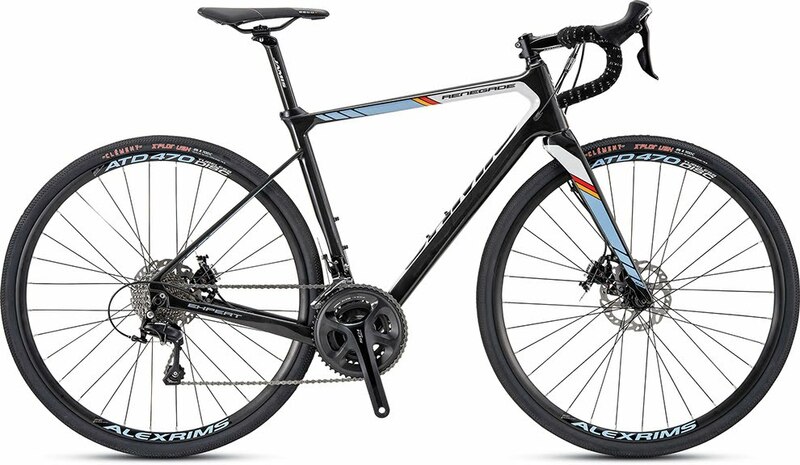 The adventure road bike is one of the newer road bicycle categories, and its rapidly growing in popularity. An adventure road bike is the bike you would choose if you wanted to do all your riding on basically one bike, and you didn't really want any limitations to where you can go. The adventure road bike could likely be viewed as the new modern road bike. This is the bike to use on your century rides, your gravel rides, your Grand Fondos, your commutes, your touring rides, or charity rides. An adventure bike is the perfect bike for all these applications. 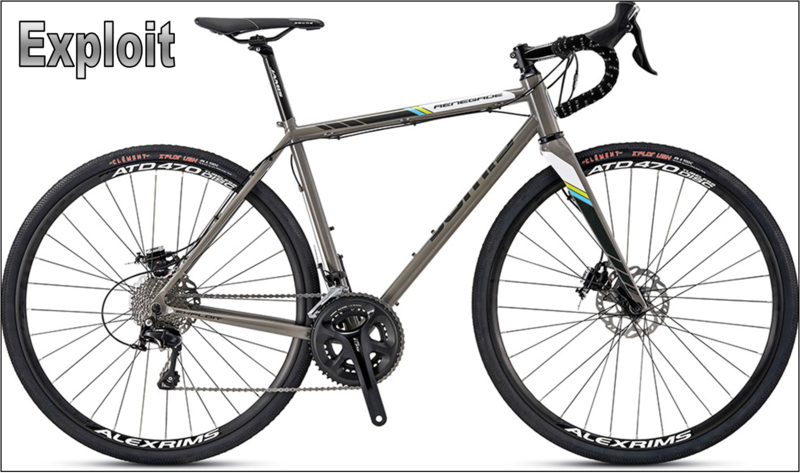 The new adventure road bike from Jamis Bikes is called the Renegade. The Renegade is shaping up to be quite an amazing bike with true do-it-all capability. It will have a carbon frame and fork, both of which have been tailored to every frame size. 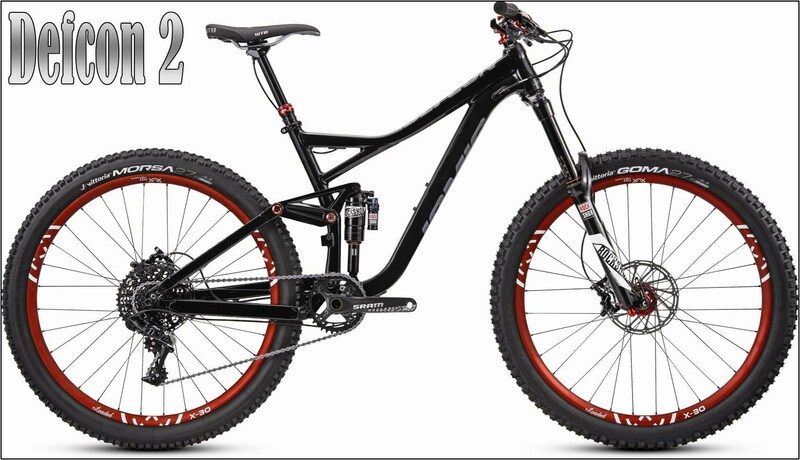 For instance, there are three different forks, each with different trails, and with 15mm thru-axles; two different rear triangles with asymmetrical chain stays and ride-tuned seat stays; disc brakes, incorporating Jamis's new cam system to mitigate the detriment of heat build-up; the ability to run tire sizes from 28c to 40c (35c tires with fenders); and, hidden rack and fender mounts, just to name a few amazing qualities of the Renegade. And of course, Jamis's size specific tubing SST will further improve the ride. The video below will cover all these design features in greater detail. Cyclists looking for a high-tech, drop-bar road bike that’s truly go-anywhere/do-anything capable had few choices until today. Meet the Renegade. This is not your standard-issue, “heavy duty” adventure bike. The lightweight, full carbon fiber monocoque frame and fork soaks up the rough stuff and smoothes those mixed terrain routes, thanks both to the inherent shock-damping characteristics of the material as well as the long and low endurance-inspired geo. With disc brakes and the ability to mount a full-bodied 40c tire, this bike is ready for beat-up streets, back roads, dirt paths you name it. Please watch the Jamis Bikes YouTube video for a more detailed look at this amazing new adventure road bike; the Jamis Renegade! Click the link here, for a First Impression Review from Bicycle Times. SST means Size Specific Tubing, and SST is one of the reasons why a Jamis Bicycle rides so nice, especially for different size riders. With SST, Jamis really sets itself apart from a lot of other bicycle manufacturers. A frame designed with SST is going to feel right for every size of rider. But what is SST? The benefits of a properly fitted bike have been recognized for years. It is essential for injury prevention and maximized efficiency. And it is the primary determinant in assuring the greatest comfort and enjoyment while riding. Back in 1988, Jamis designers were working closely with Bill Farrell, inventor of the first bike-sizing tool, the Fit Kit. Jamis learned from Bill that tweaking the tube diameters and wall thicknesses of the frame's tubing has a large effect on the ride quality of the frame for different sized riders. Slight changes in tube diameter have a significant impact on performance. As the diameter increases, strength and stiffness increase along the length of the tube as well. By varying the cross section and sometimes even the wall thickness, Jamis can fine-tune the performance and comfort characteristics of each frame size. SST optimizes ride quality and assures the lightest possible weight for each frame size. SST enables Jamis to produce a bike that not only fits like a glove and handles precisely, but accelerates and climbs explosively and offers just-right compliance for every rider, every frame size.